The Meinl SoundCaster Custom Crash Cymbal 14" is a 14" crash cymbal, made of B12 bronze that is computer hammered, with a brilliant finish. The cymbals of the SoundCaster Custom Series combine premium materials with modern production methods. The name SoundCaster Custom stands for extremely powerful, assertive cymbals sounds, which perfectly integrate into modern styles of rock and metal. The SoundCaster Custom Cymbals are made from a B12 bronze alloy newly developed by Meinl. The alloy consists of 88% copper and 12% tin, which produces a warm sound with serious penetrating power. The modern, high-tech computer guided hammering gives the SoundCaster Custom cymbals their final sound character. This produces an expressive instrument with a beautiful, brilliant finish. 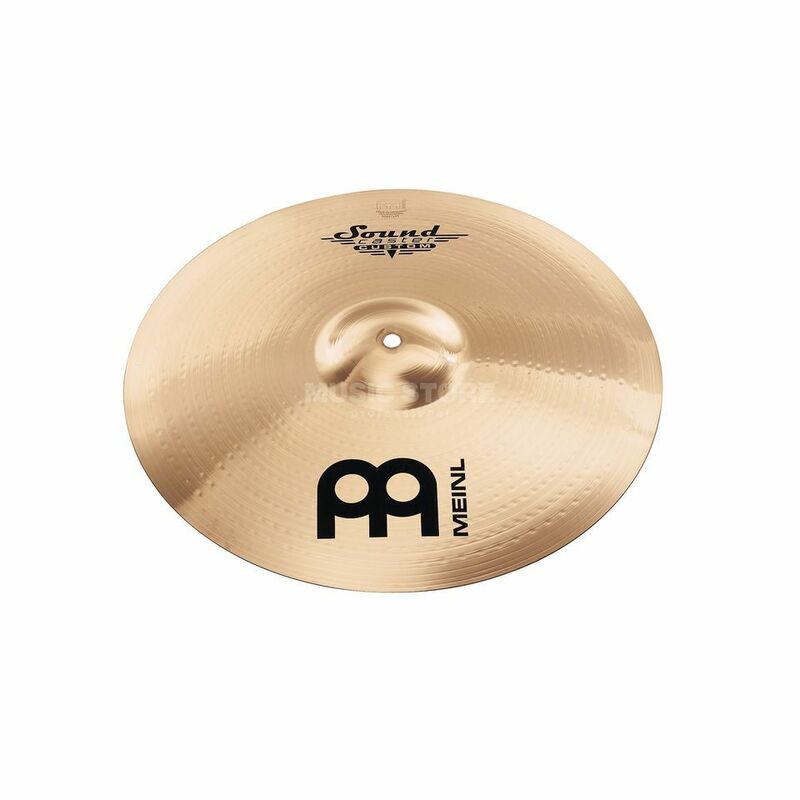 The Meinl SoundCaster Custom Crash Cymbal features a sound with a combination of warmth and clear, bright overtones, due to the polished finish.